Labor senator Sam Dastyari has warned there is something “fundamentally wrong and rotten” with Australia’s entire political system, claiming there are 10 huge companies with so much power and influence they have killed proper democratic process at the federal level in this country. 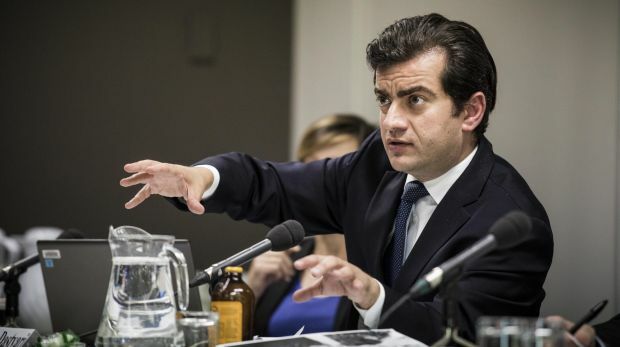 In a firebrand speech in Canberra this week, delivered with the enthusiasm of someone with their eye on the party leadership, Mr Dastyari told a Politics in the Pub audience that he thought he understood power before coming to Canberra as a senator. But his time in Parliament House has opened his eyes to the realities of the political-business nexus in Australia in a way he could not have anticipated. “You will not find somebody who came more from the ALP machine than me,” Mr Dastyari told the audience, in a recording obtained by Fairfax Media. “[But] none of that braced me for an understanding of just how concentrated, brutal and aggressive a handful of businesses operate [in Australia], and the real corporate power where it actually rests in this country,” he said. He then claimed there are 10 companies that wield the most incredible amount of power in Australia, to the point where it has stifled proper democratic and economic progress. “Four banks, and we all know who they are â€“ the Commonwealth Bank, NAB, Westpac, and ANZ â€“ three big mining companies, in Rio Tinto, BHP Billiton, and Fortescue Metals, you’ve got your two big grocery chains, and you’ve got your big telco, which is Telstra,” Mr Dastyari said. They have “unprecedented concentration of corporate influence” in Australia, he said.